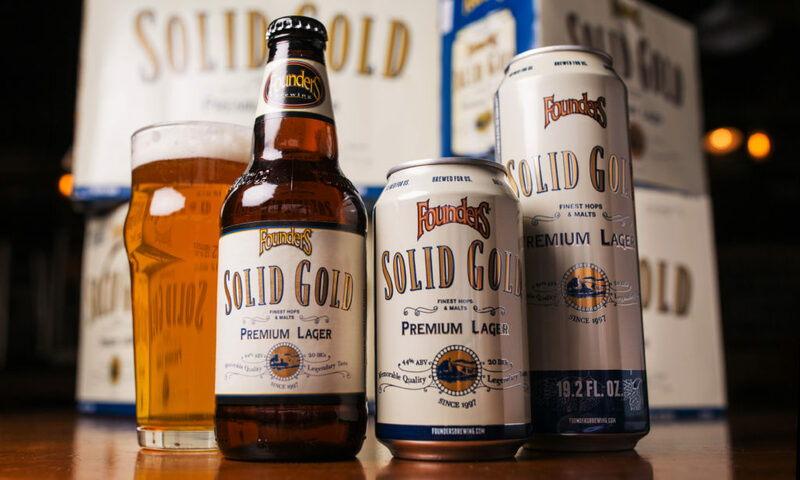 #FlagshipFebruary - Solid Gold - Founders Brewing Co.
Posted on February 11, 2019 by Founders Brewing Co.
We’re celebrating #FlagshipFebruary all month long by looking at some of the beers that have made a significant mark on our brewery over the years. Next up, our Brewmaster, Jeremy, talks about Solid Gold and where we see this beer going. 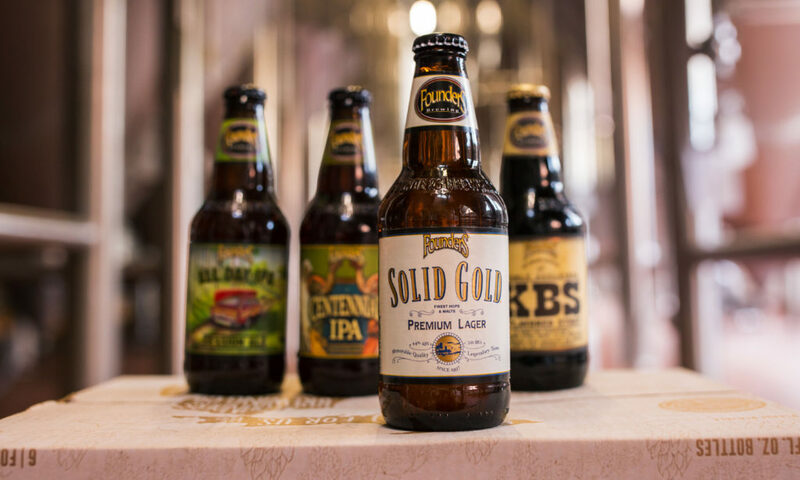 Solid Gold has only been available outside of our taproom for the past year, so it might not fit the bill as a true “flagship” brand, in the common sense of the term. It has, however, quickly become our second best-selling beer (behind All Day IPA). Considering that, plus the fact that it has existed in our taproom for over a decade, I think it deserves mention in the #FlagshipFebruary conversation. We first started brewing Solid Gold (and Extra Pale before that) for our taproom as a lighter, easier-drinking option. Everyday, we’d get customers who would come in and ask for a Bud Light and giving them a Pale Ale cut with carbonated water wasn’t really a good option (believe it or not). Originally, this beer was a Golden Ale, since this was well before we brewed lagers. And we brewed it with a bit of corn to tap into some of the flavor and sweetness that America’s number one crop brings to beer (to be clear – not as any sort of cost-cutting measure – the flaked corn that we brew with actually costs more than our malted barley!). A couple years ago, we started thinking about designing and releasing a beer that could reach out to the larger beer drinking world (over 80% of Americans still prefer light lagers). We had developed our lager brewing skills by then, so I thought it would be a great opportunity to revamp the Solid Gold recipe and turn it into the beer that I always wanted it to be – an American adjunct lager that was completely crushable but still had more deliciousness than what American lager drinkers were used to. I think what sets this beer apart from the crowd is a relatively small, but tastefully done dry-hop, which imparts a slight yet refreshing hint of citrus. Check out Jeremy’s thoughts on All Day IPA here and stay tuned for more flagship love to come! I have recommended to my “lightleaning” friends and they have become fans. Love hearing that – cheers!